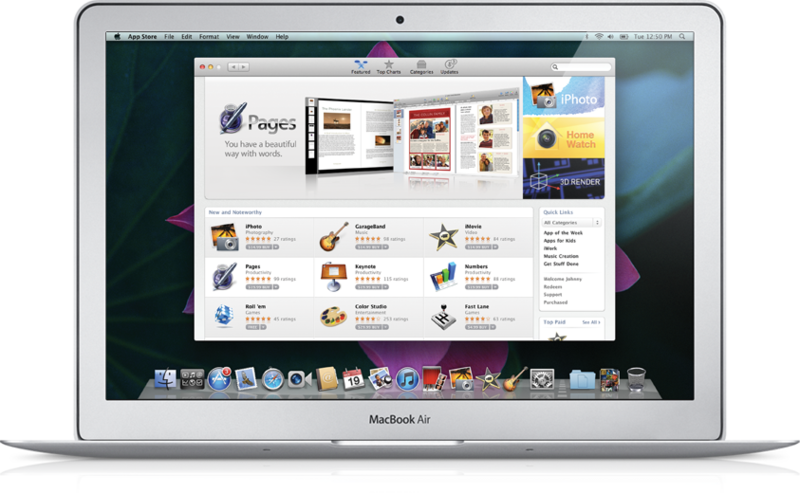 For a long time Apple has been known as a company that creates new and innovative products. Now if you have stopped by my blog before you will know that while I am not a fan of Apple hardware, I don't mind using the OSX operating system. That is why it makes me slightly sad that the up coming Apple OS 10.7 (Lion) is going to follow in the steps of the iPad and be less than innovative in the area of new features . Ubuntu 10.10 also brings with it an integrated software store. So it appears those behind FOSS have beaten Jobs to this punch. Not only are these essentially desktop icons, but Lauchpad may very well be an infringement of Canonical's intellectual property on the name. 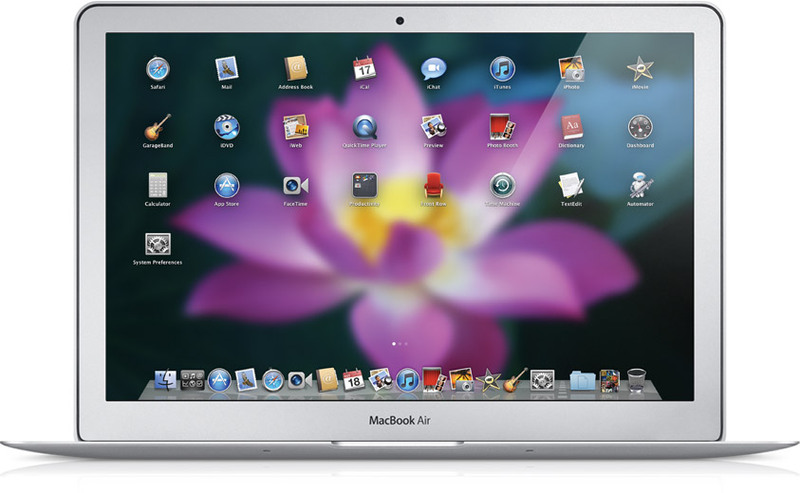 Also, what is the point of the dock if all the application launchers are splayed out all over your desktop? This next one is unfortunately not a joke. Listed on the page for OS 10.7 is "full screen applications". Forgot a feature like the software store that has been around for over a year - we have had full screen applications for over a decade. What this does is allow you to see all of your opened applications on the screen in front of you. This way you can switch between applications and see what is open. 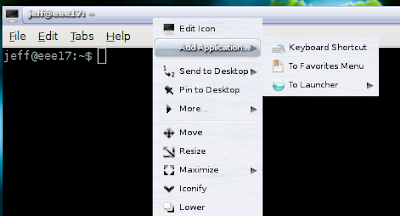 While this is a much more interesting addition than desktop icons and full screen applications, it is still something that FOS desktop environments such as Gnome and KDE have been doing for years. Unless Lion is going to pack some other awesome features that just have yet to be announced it appears it could very well be a "meh" release that would really only be worth upgrading to if it was free (or if you are die hard Apple fan and like throwing money at Jobs). It is just that easy! Reboot and select your new kernel (which should be the default option) from your grub menu. Enjoy. 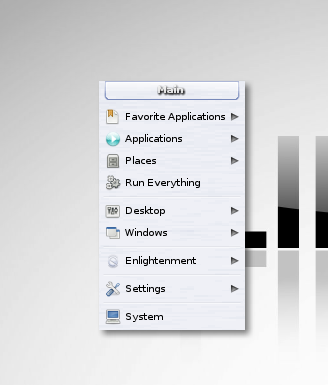 I just recently did a post detailing why you should give the E17 desktop a try. If you made the plunge and are now using E17 on your unix based system you might be slightly at a loss on exactly how it all works. The following are some helpful tips and tricks for when you are first getting started with E17. Where is the main menu? I think a better question is where isn't the main menu. In E17 any open workspace on your desktop can be clicked upon to open the main menu. Right clicking on any open space will also jump right to your "favorites" application list. How do I add an application to the favorites menu? This is quite easy, while the application you would like to add is loaded, right click on the window decoration at the top and mouse over Add Application and select To Favorites Menu. What are gadgets and how do I add/change them? In E17 a "gadget" is anything you see on the desktop. 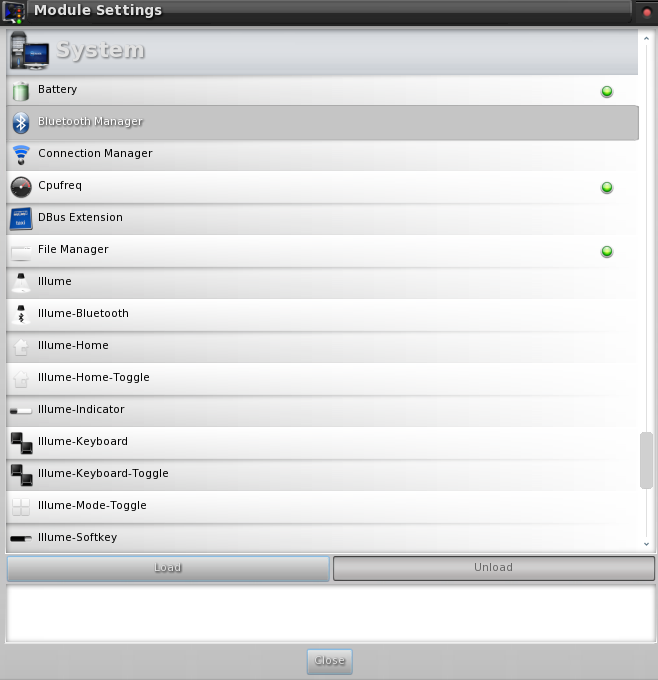 Virtual desktop switcher, clock, system tray, ect. 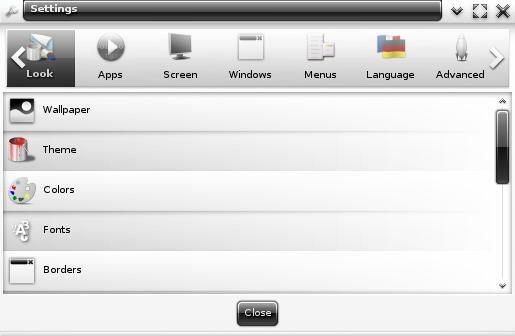 In order to add/remove gadgets go to Settings->Gadgets and you will find a helpful menu for adding/remove gadgets. I love gadgets! How do I get more of them? What gadgets you have available to add is determined by what modules you have loaded. To load/unload modules go to Settings->Modules. The default theme is alright but - where can I find others? E17-Stuff.org and Exchange.Enlightenment.org are fantastic sources for enlightenment additions such as themes. I really want to try this theme, but it keeps telling me the file isn't valid. This means the theme was created before E17 changed how the default layout of themes are suppose to be. It is an easy fix however, when you downloaded the theme you should have gotten a file ending in .edj To convert this file to the new format, open a terminal and navigate to the directory the theme file resides in. Once you are there run the command edje_convert mytheme.edj and your theme file will be updated automatically to the new format (note replace "myfile.edj" with the name of your theme file). 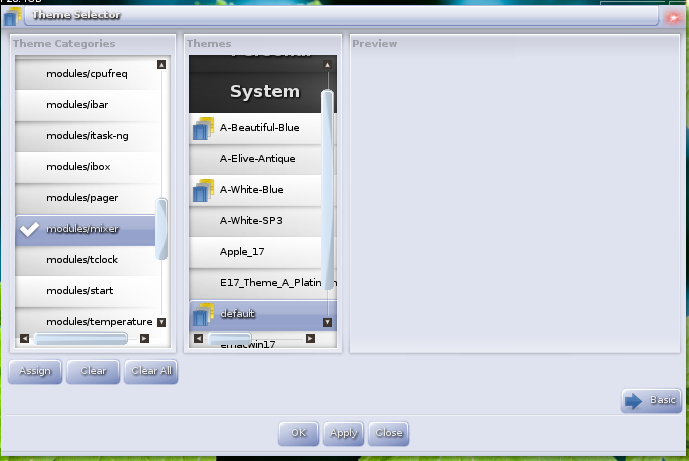 In the left hand column, select the module you would like to change the theme of. Then in the right column select the theme you would like to assign to it. Press Assign and then Apply and you are good to go. What are shelves and how do I manage them? If you are coming from gnome, think of shelves as a more versatile version of a gnome panel. Shelves can house your gadgets if you do not like having them on your desktop. To manage how many shelves you have go to Settings->Shelves. Once you have a shelf added you can right click on it and select "settings". 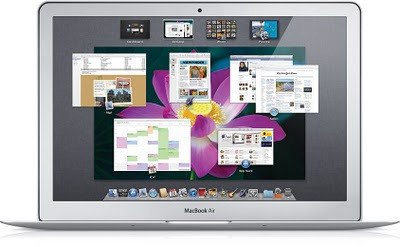 From here you can manage it's size, what desktop it shows on, whether or not it auto-hides, what it looks like, and it's position on the screen. To assign (or remove) a gadget to a shelf, right click on the gadget and mouse over Move To and select either desktop or the shelf you would like that gadget to be moved to. I covered all the different things I recall struggling to find when I first started using E17. If there are any other questions you have or something you would like to see added to the list please let me know. Also keep in mind I only list here a small portion of the edits you can make to your E17 desktop - explore the different menus to see what else you can tweak! The suggested minimum for running E17 on is 16megs of RAM and a 200mhz ARM processor for embedded devices. The recommend RAM is 64megs (and a stripped down version of E17 can be happy running on 8 megs of RAM). 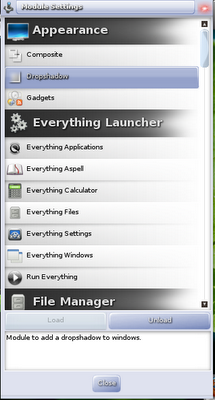 From personal experience E17 utilizes around 100megs of RAM on a fully loaded desktop install. Meaning if you have at least 128megs of system memory in your computer E17 will function fantastically. Because of this E17 makes for a great choice on older computers. This is one of the reasons many use Linux in the first place, because it is quicker than some other operating system. With E17 your Linux desktop will be running faster than ever. E17's low system requirements leave more power for the rest of your applications to utilize. Don't ask me how it is done, but E17 provides elegant window effects and desktop transitions regardless of your hardware and driver setup. Intel, nVidia, or ATI chipset - closed source or open source driver, they will all give you a sleek looking desktop with E17. Through the itask-ng module E17 can also provide a dock launcher that has a sleek look without a need for a compositing window manager to be enabled. If configured properly E17 can be so much more than just a desktop environment. In fact many consider it to be a work of art. E17 is designed to be pretty and to this end it does a fantastic job. Not using some of the features E17 has and don't want them taking up unnecessary resources? Not a problem! 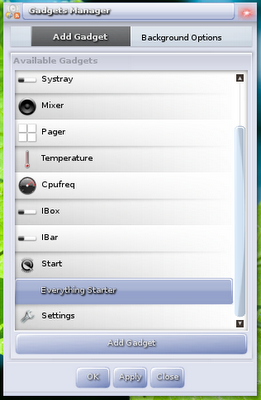 E17 allows you to easily load and unload each and every part (module) of the desktop through the configuration menu. This way, only the parts of the system you are using are loaded at start-up. Should you want to, you can easily spend days tinkering with your E17 configuration. You can adjust anything and everything. Most notably appearance wise, E17 allows you to easily theme each individual module with a different theme (should you want to). "There may be some minor bugs, but most if not all are gone." I have been using the beta packages for nearly three weeks now and I can attest that the above statement is true. You have all heard the jokes that the end of the Mayan calender on December 21st 2012 might bring about "the end of the world" in some type of cataclysmic event. Regardless of whether or not this is necessarily true, there have been more than a few technology releases/announcements in the past couple years that many of us thought would never happen. 8. Starcraft 2 releases (and runs on Linux!). This is one many gamers have been waiting on for some time. After Starcraft Ghost turned into vaporware I think some of us where wondering if Blizzard was ever going to release anything other than WoW expansions ever again. Starcraft 2 is finally here and it was worth the wait, easily one of the best RTSes I have ever played. 7. Microsoft releases a decent desktop operating system. After their Vista fiasco that left many consumers running back to Windows XP, Microsoft took their time getting Windows 7 from beta to a release stage. The result is truly their best desktop operating system. Sure it is not as resource friendly as some alternative operating systems, but if you are coming from XP or Vista - Windows 7 truly does simplify your PC. 6. Broadcom releases open source drivers. The bane of Linux users for many years now has been Broadcom wireless chipsets. Sure, distros such as Ubuntu have made it easier in recent years to install the closed source driver - but a fully open source driver is by far a best case scenario. Once these drivers make it into the mainstream kernel releases, modern Linux distributions will support most all internal wifi chips OOTB. 5. Steam client comes to OSX. Easily the most popular digital distribution system for games on Windows, Steam has been released for OSX. In addition to this Valve company, the one behind Steam, is also re-releasing all of their source engine games (CSS, TF2, L4D, ect.) re-written to use OpenGL for Apple's platform. Something such as this could allow OSX to one day challenge Microsoft's dominance in the PC game market. 4. Microsoft extends Windows XP downgrade rights till 2020. This one might not signal the end of the world exactly, but I think it makes those of us who work on Windows wish the end would come a little sooner. Even though Windows 7 has done so many things correctly the business world is always afraid of change, meaning we will be dealing with this now decade old operating system for another ten years (at least). 3. Microsoft contributes 20,000 lines of code to the Linux kernel. In a move that shocked many Microsoft submitted code that allows Linux virtual machines to perform better when running on a Windows Server 2008 host system. Keep in mind that while 20,000 lines sounds like a lot, it is simply a drop in the bucket of the millions of lines of code that comprise the Linux kernel. 2. Enlightenment E17 libraries reach beta. After ten years and several rewrites later of being defined as "alpha" software, E17 has finally reached a beta stage. It is yet to be seen if we will see a 1.0 release any time soon, but for the time being a beta release is a step in the right direction. 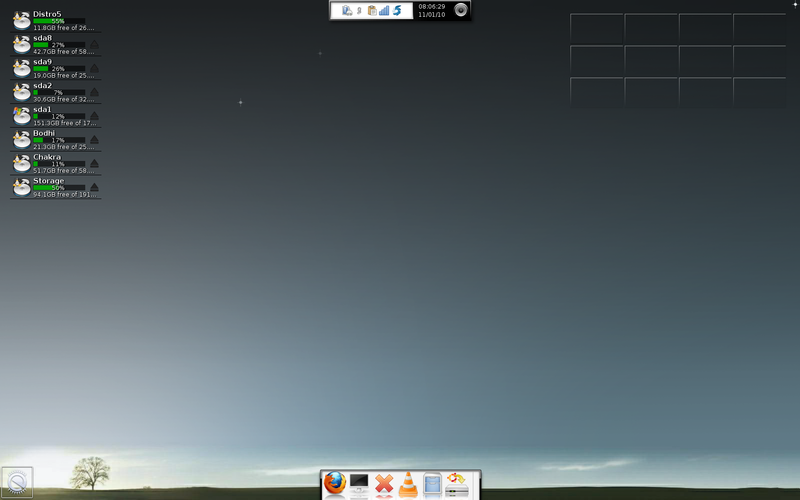 If you would like to easily check out the E17 beta, take a peek at Bodhi Linux. 1. Duke Nukem Forever gets a release date (again). First announced on April 28, 1997 Duke Nukem Forever seemed to be eternally delayed. This makes for it's 5th (6th, 7th?) release date. This one appears to be a solid one though (so much in fact that there are "early access keys" being advertised on Steam). Hopefully this one will not disappoint when it finally releases after almost 14 years. Where there any other advances in technology or releases in recent years you thought would never happen? Now if I recall not to long ago a Microsoft representative was quoted saying "We love open source". Apparently they realize that many other people love open source as well, so many in fact that it is cutting into their bottom line - thus the offensive attack video you can see above. "I need something I can rely on. If an open source, freeware solution breaks, who's gonna fix it?" First off, lets over look the fact that the "director of technology" for an entire school district doesn't know the difference between open source and freeware software... Who fixes issues in OpenOffice? Well there is the community and I also seem to recall some corporate giant having their name stamped on the software as it loads - they might have something to do with it. How many Microsoft certifications did they have compared to OpenOffice or Linux certifications? "When I was using OpenOffice.org I was especially having trouble with MACROS not being supported enough. I was asking for help from the IT department, they evaluated my request and suggested I use Microsoft Excel" I think we just answered my above question. "We were accustomed to fielding calls from users in a bind due to difficulties with OpenOffice.org on a daily basis" Did you train your people (or IT staff) in using OpenOffice before you made the switch? Doesn't sound like it to me. "With OpenOffice.org there was total uncertainty about the formatting of documents and also about their inconsistency when shared outside our production group" Last I checked it was OpenOffice, not Microsoft Office that strictly adhered to the open document format. As far as sharing documents with others goes - as of Office 07 SP2 it can now open and edit open document format by default and OpenOffice.org is a free download. "OpenOffice.org 3.1 failed to deliver on its promise of better Microsoft Office interoperability. Severely mangling our Microsoft Office and Microsoft Excel test data files" Obviously other people have had different experiences than I have. That being said, I have never heard of OpenOffice (or any of its developers) promise perfect "interoperability" with Microsoft Office. Did OpenOffice 3.1 have better Microsoft Office support than OpenOffice 3.0? Yes, it did. "I've had students who turned in files that they've converted from OpenOffice with formatting problems that affect their grade" I'm in my senior year of college right now, I've been using OpenOffice for all four years - I'm an A student. If you are truly worried about formatting issues, click that little "export to pdf" button when you finish typing your paper. "When I open a spreadsheet it can take ten times times longer in OpenOffice.org (calc) than in Microsoft Excel" Was it an ods (open document) file? If not, then I apologize that the OpenOffice.org engineers have yet to fully reverse engineer the closed Microsoft format. "Our employees where frustrated because OpenOffice.org and our over all IT environment prevented them from being more productive. New employees lacked OpenOffice.org applications' use skills. That significantly increased the employees adaptation period and adversely affected their operational efficiency" I think I covered these points already, but in case you missed it: Get your people (and more importantly your IT staff) trained in whatever software they will be using. Would you expect an automobile mechanic to be able to work on a 747? "By using Microsoft Office 2007 we have reduced the internal support costs significantly because our staff is familiar with this system. This increases acceptance and job satisfaction" You know why they are familiar with that system? Because they where trained to use that system. For the third time - regardless of the software you choose to use, your employees needs to be trained in its use! People get upset when you put something in front of them that they don't know how to use. "The company paid to much for using open-code of OpenOffice.org software" And yet none of these quotes talk about the actual monetary amounts they spent! Just that it was "too much". "efficiency of operations was decreasing" Get - your - people - TRAINED. "I don't necessarily agree that open source is a free product" You are entitled to whatever backwards opinions you would like. "There are always costs related to: support, standardization, and compatibility" This is true, but wouldn't it be better to have a free product that you then have to pay for support for? As opposed to a product you pay for and then have to still pay for support for? "When we returned to Microsoft Office after our experience with OpenOffice you could practically hear a collective sigh of relief across the entire district" I bet their people where trained in using Microsoft Office, but never had one class for OpenOffice. Were did all these quotes come from? None other than twelve Microsoft cases studies (You can find a full list/links to these on ArsTechnica). When watching the video you will also notice clever advertising tricks such as a brown colored background whenever they are speaking about OpenOffice and a pleasant blue colored background whenever Microsoft Office is mentioned. This video is nothing other than pure FUD, plain and simple. If Microsoft really does love open source they have a strange way of showing it. "Enlightenment is not just a window manager for Linux/X11 and others, but also a whole suite of libraries to help you create beautiful user interfaces"
Enlightenment is easily my favorite Linux desktop environment and I feel it has not gotten the attention it deserves from distro developers largely due to it's long time alpha status. 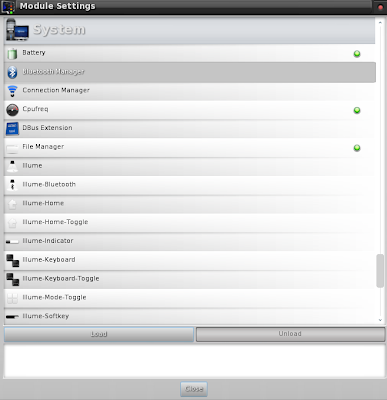 In fact the only Linux distributions with recent releases utilizing the Enlightenment desktop are the Slackware based Austrumi and PCLinuxOS. 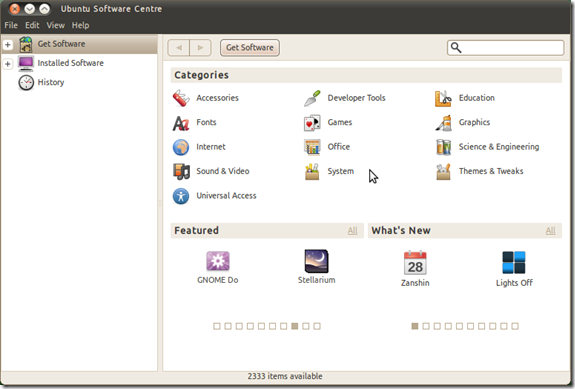 Ubuntu Linux is my distro of choice for desktop usage and as such I felt it was wrong that there are no recent releases of it that come pre-configured with an Enlightenment desktop. Sure, there is MoonOS - but this is based on the no longer supported Ubuntu 9.04 - and then there is OpenGEU, which is based on the even older Ubuntu 8.10. There is also always the compiling from source option, but this is timely and something not most beginners want to attempt. 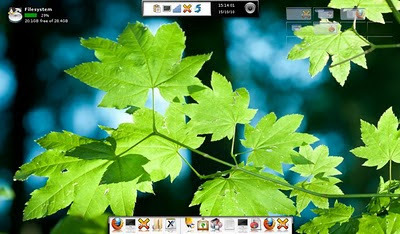 This is an Ubuntu 10.04 based LiveDVD that is configured to have a usable Enlightenment desktop. I started off with an Ubuntu minimal CD, compiled and installed a stable build of E17 from SVN, configured the desktop to look beautiful, and then setup a default application set that should be able to accomplish the tasks of most every user. 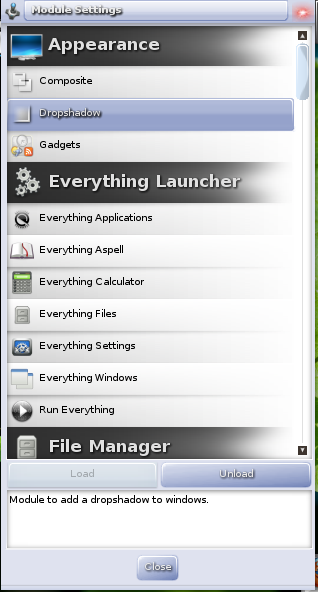 You will notice that I use many Gnome/GTK tool sets in place of some of the default E17 ones, this is because I feel they do a better job of accomplishing their given task. I did this because while E17 is wonderfully pretty, I want the desktop to be as usable as possible. PCManFM is the default file manager, Shutter is included to take screen-shots, and parcellite is included as a light-weight clipboard manager. This release also includes non-free software such as Adobe Flash, Sun Java, multi-media codecs, and Skype (if there is an interest I will compile a version of the DVD excluding all non-free components). The DVD is a 1.4 gb download that is currently being shared via a torrent download. You can find the 005 32bit release here. If you can spare the bandwidth please seed the torrent after downloading it. Looking for something more minimalistic? Check out Bodhi Linux! Firefox 4 is almost ready for prime time! It offers lots of new features and is currently in beta. As such not all distributions have installer packages for it (and those that do don't always update them right away). Another problem with these builds (on Ubuntu and several other distros at least) is that they brand their beta Firefox package not as "Firefox", but as whatever code name the project has. This causes some websites, such as Facebook, to detect it as an unknown browser and thus disable some functionality (not to mention it will also confuse non-tech people that sit down in front of your computer). Now I know there are always the nightly builds, but these are extremely bleeding edge and I personally don't care to have to run a system upgrade every single day. 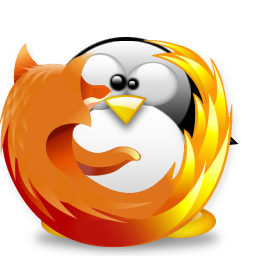 The following is an easy way to install the latest stable beta version of Firefox on any Linux distribution. Odds are your Linux distribution has a Firefox package (albeit and older version), install this package so your system will automatically install all of Firefox's dependencies through your package manager. Download the latest beta package of Firefox from here. You are all set! The Firefox icon in your menu will now launch the beta version of Firefox you just downloaded. There are two important things to note when installing Firefox via this method. First - Your older version of Firefox is install installed, if you want to use it for some reason just run firefox-old in terminal. Second, the version of Firefox we installed will not be updated through your system's package manager - it will however handle it's own updates just fine.